Small RNAs (sRNAs) are short (18–30 nucleotide) noncoding RNA molecules, which control gene expression and pathogen response in eukaryotes. They are associated with and guide nucleases to target nucleic acids by nucleotide base pairing. 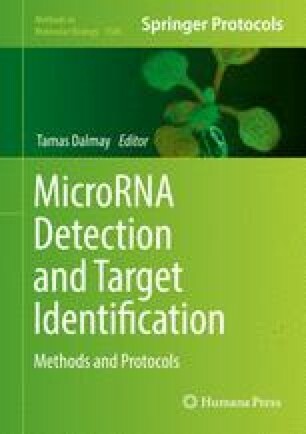 We found that current techniques for small RNA detection are adversely affected by the presence of complementary RNA. Thus we established FDF-PAGE (fully denaturing formaldehyde polyacrylamide gel electrophoresis), which dramatically improves denaturation efficiency and subsequently the detection of sequestered sRNAs. C.J.H was supported by a BBSRC PhD Studentship. D.C.B. is the Royal Society Edward Penley Abraham Research Professor. This work was supported by the ERC Advanced Investigator grant ERC-2013-AdG 340642 TRIBE. A.M. is a Chancellor’s Fellow at the University of Edinburgh.